There's been yet another health IT "glitch" that, of course, caused no patients to be harmed. 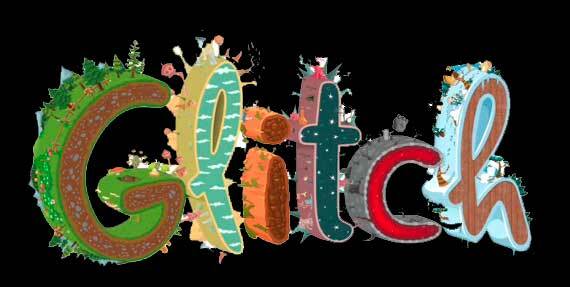 See other "glitches" here, here, here and at other posts which can be found by searching this blog on the banal term 'glitch'. I note that when a clinician makes a mistake, it's called "malpractice." Doyle is now calling for an independent review of all the hospitals Lifespan runs, and a review of the Rhode Island Department of Health. The DOH is investigating after learning patients who were supposed to receive medications taken once a day instead received medications meant to be taken more than once per day. Health IT, of course, is unregulated by FDA or anyone, and vetted for safety only so far as the seller wishes to spend money on such tasks - which cuts their margins. Ultimately, debugging is on live patients. "Lifespan has not reported any adverse events or situations where patients required additional medications, but the information gathering and investigation is still ongoing," said DOH spokeswoman Annemarie Beardsworth. In other words, there could have been adverse events, we just at the Dept. of Health don't know yet with certainty, because none have been reported yet. In addition, some patients who were meant to get a medication with a coating did not receive a coating. The coating can help with stomach pains of other problems. "I just don't feel comfortable right now with some of the things that are coming out of there," Doyle said, "I really don't want to point fingers in any direction. but what we need to do is we need answers." Senator Doyle wants to have the review started in the next two to three weeks. Mr. Doyle, see my academic site on HIT failures here and an account of repercussions here from an EHR-related medication error. "Lifespan is actively contacting 2,000 patients affected by this issue to ensure they receive the correct form of their medications. So far, we have reached out to more than 90 percent of the patients, many of whom were already taking the correct medication." Lifespan expects to finish contacting patients by Thursday. It will be interesting to understand the nature of this particular "glitch" and who the software vendor is. All it takes is a single "glitch" to seriously reduce a patient's lifespan. Also, Siemens was a company that apparently did not listen to an internal informatics specialist physician's concerns that their health IT for critical care was endangering patients (link). They terminated the whistleblower. Also see my Aug. 2009 post "Why Siemens Healthcare Fails" which I had emailed at the time to the Siemens Healthcare CEO Hermann Requardt. Some 2,000 patients of the Lifespan hospital group were discharged with incorrect prescriptions over the past 9 to 15 months because of a software glitch. The prescriptions listed the right medications, but in the wrong form: people who were supposed to get time-release pills received prescriptions for short-acting ones. The error affected dozens of generic medications for a variety of conditions. Lifespan discovered the problem on Oct. 25 and had fixed the software by Friday, according to Dr. Mary Reich Cooper, Lifespan’s senior vice president and chief quality officer. The hospitals have placed calls to nearly all the affected patients, although not all have called back, Cooper said. Most patients reached had already obtained the correct medication because the error was noticed by someone at the hospital, or a pharmacist or doctor outside, she said. So far, Cooper said, there is no evidence that anyone was harmed. But Dr. Michael D. Fine, state Health Department director, said that the incident is an example of how electronic medical records, which normally help reduce errors, can sometimes amplify them by quickly affecting large numbers of people. “It’s the flip side of what has otherwise been a process that has improved accuracy and reliability,” he said. Asked whether he was worried there may be other as-yet-unrecognized software glitches, Fine said, “I’m reasonably concerned about the accuracy and integrity of electronic medical records.”... The software in question is not in use at other hospitals in Rhode Island, and the software vendor, Siemens, is notifying hospitals elsewhere in the country, according to Cooper. ... The errors arose from the process known as “medication reconciliation,” in which the physician compares the medications a patient was taking before hospitalization with those prescribed during hospitalization, and ensures that the patient goes home with a correct set of prescriptions. The Lifespan hospitals recently adopted an electronic system for this process. Doctors were correctly prescribing medication, and the prescriptions looked right on the computer screen, Cooper explained. But when printing out the prescription list, the software was cutting off a two-letter abbreviation that indicated certain medications should be in long-acting form or coated to protect the stomach. But Fine, the health director, said such mistakes “can be scary.” People taking medication for angina or high blood pressure would find their medication wearing off over the course of the day, putting them at risk of heart attack or stroke, he said. Medical errors that might seem innocuous or minor to health IT amateurs can prove catastrophic. I've seen it happen, leading to injury and death. Brown University Medical School and Medical Center ought to be called out on this fiasco. Patients were injured there in wrong site surgery,but the confusion and cognitive dissonance caused by EMR and CPOE gibberish was exonerated (or never considered). Some of the patients that did not respond to the notification calls of the hospital may be dead. How will they ever know? Wonder if the Dean will give a guest lecture on defective HIT devices? Did these hospitals collect the dough from the Feds for achieving meaningful mistakes? Just wondering. What is strifing about this is that it took at least 15 months before any one knew about it!! This is an example of the error promoting features of these devices. If the computer prints it, it must be correct; resulting in nurses and others not questioning the directives that the computer generates. The nurses and others may be wading through extensive computer generated billing and other mind numbing gibberish that they are cognitively disabled when reading the directives. How could the government (CMS) penalize doctors financiallly if they do not buy and use this crapola? During the process "medication reconciliation"? That is supposed to reduce medication errors, not increase them. I am literally shocked and depressed that do no wrong computers have defects that may result in death. I believed Barack Obama who told us tha HIT was going to improve medical care and reduce errors. The entire country may have suffered 25-50,000 errors from this one glitch alone. Go figure. Will someone please send this report to Barack and his HIT zealots Sebelius, Berwick, Hamburg, Durbin, Biden, Mutacheshavi (ONC), Pilosi; but do not leave out the HIT promoting Republicans Boehner, Toomey, Ryan, Hatch, Rowsey, Kantor, Bachmann, Perry, Romney, and others who are of the same HIT kool aid drinking ilk. Dr. Fine (of DOH) and team ought to attend. Sebelius, Berwick, Hamburg, Durbin, Biden, Mutacheshavi (ONC), Pelosi, Boehner, Toomey, Ryan, Hatch, Rowsey, Cantor, Bachmann, Perry, Romney -- can they truely comprehend the report and understand the implications? No. Politicians and business people have no place in making decisions about healthcare simply because they do not understand the topic well enough. This is THE problem, not A problem. Actually...I don't know about the others, but Rep. Bachmann can and does understand the issues. Trust me on that. Another angle: I was surprised to see Siemens name pop up here but probably should not have been. Siemens is one of the largest multinationals to have been debarred by the World Bank for corruption related to work in Russia (http://bit.ly/3vA1xa).